Considering a trip to Portland, Maine, America's Foodiest Small Town? Reserve in advance to check in at the Pomegranate Inn, an elegant, art-filled 1884 Italianate mansion-turned-B&B. Innkeeper Dana Moos keeps to the art theme at breakfast. Moos, author of the newly published The Art of Breakfast: How to Bring B&B Entertaining Home (Down East Books, 2011), considers the breakfast plate as her palette. "It's about looking at a plate of food as a composition and balancing colors, textures, and flavors," she says. 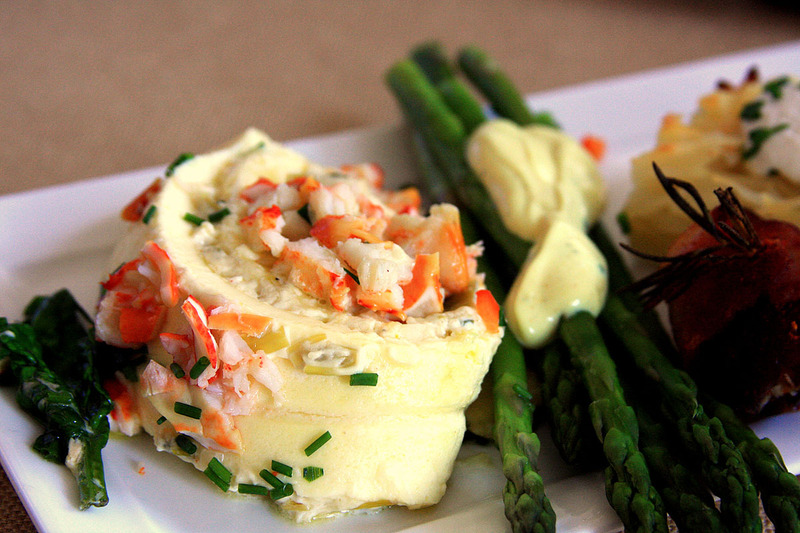 Moose creates masterpieces such as her signature egg roulade filled with sauteed leeks and Parmesan topped with lobster, sherry, and melted butter, which is alone worth the trip. Other works of art doubling as breakfast include poached egg s on a sweet potato pancake topped with creamed carmelized shallots and poblano peppers; cheese blintz souffle with mano puree, blackberry coulis, and local Maine blackberries; and banana-stuffed French toast with raspberry coulis and dark chocolate sauce. These, as well as more than 100 other recipes are included in the cookbook. The inn, located in the city's tony West End neighborhood, is within reasonable walking distance of Arts District attractions, such as the Portland Museum of Art and the Victoria Mansion. Summer season rates begin at $165 per double, including breakfast.